Samsung is all set to launch its second flagship device of 2018, i.e., the Galaxy Note 9. Today, the company sent out press invites for its Unpacked Event on August 9 that is happening at the New York City. The main highlight of that event is going to be the Samsung Galaxy Note 9 as the company teased its launch with a video teaser that includes the S-Pen. We already know a lot about the Samsung Galaxy Note 9, right? 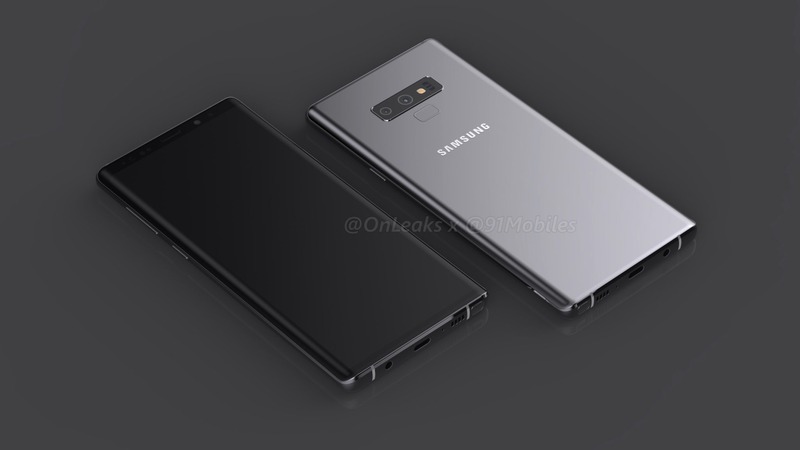 Well, in case you don’t, the Galaxy Note 9 is coming with the same design as last year’s Note 8 with some minor design changes like the changed location of the fingerprint scanner on the rear. Yes, the fingerprint scanner is still on the rear, but this time, the company decided to place it below the horizontal dual camera module. With a massive display, we cannot say if this change in the location of fingerprint scanner will guarantee easy access to the fingerprint scanner while using the phone with one hand. As for the specifications, there will remain almost the same as Galaxy S9 and S9+. The chipset is the same, i.e., the Snapdragon 845/Exynos 9810. Some reliable sources claim that there is also an 8GB RAM variant with up to 512GB storage, which is impressive. We expect to see some camera upgrades as well. Finally, just like every Note device, the Samsung Galaxy Note 9 is coming with an upgraded stylus or S-Pen. With last year’s Note 8, we got the S-Pen with some nice (but not so great) features. So this time, we expect something impressive. Are you waiting for Samsung’s best smartphone of 2018? Do let us know via the comments section.